On Monday evening I ventured down to the Clarks store on Regent Street to preview the Clarks Originals pop-up shop that has taken over the ground floor to great success. 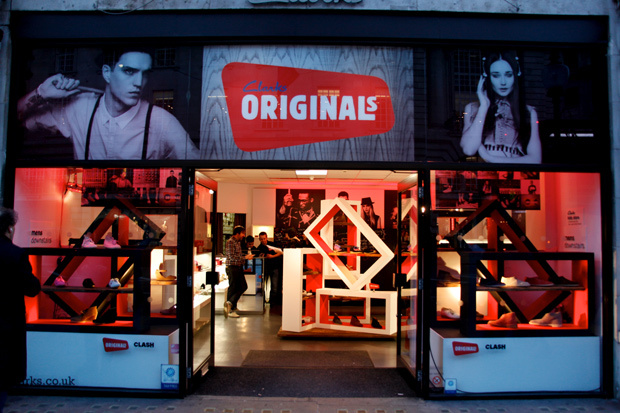 Clarks Originals have been making a lot of noise in the footwear scene over the last year, so it’s great to see a specific pop-up shop dedicated to the sub-brand and all the Spring/Summer collaborations. 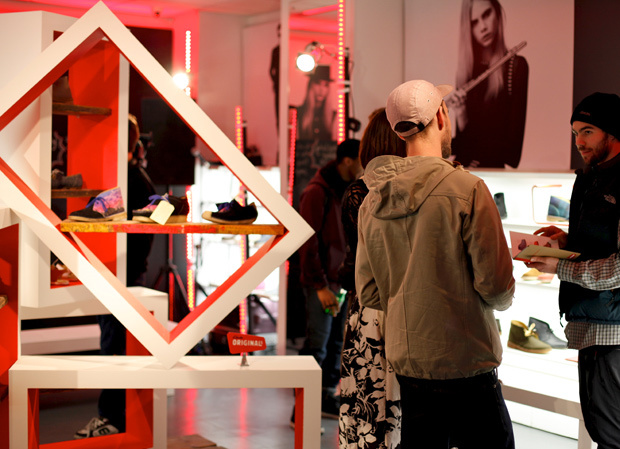 With a great selection for both men and women, the pop-up shop is small but packs a lot of fine footwear (as expected from Clarks Originals). The Desert Boot is a firm favourite here at The Daily Street and there are plenty of variations in store to lust over. 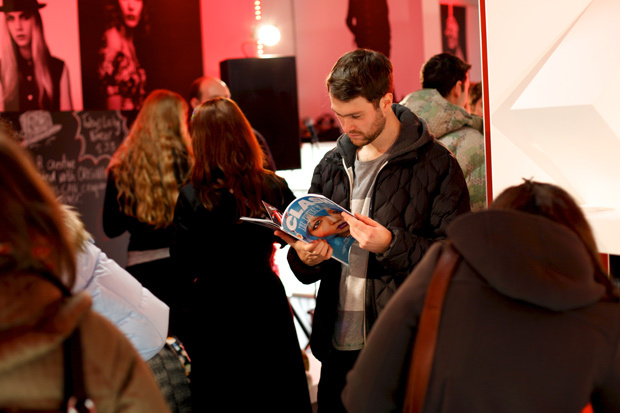 The pop-up shop will be on Regents Street until the 20th February with live acts performing in the store every day from the 15th to the 20th, which should be pretty fun seeing as it’s not the biggest space in the world. 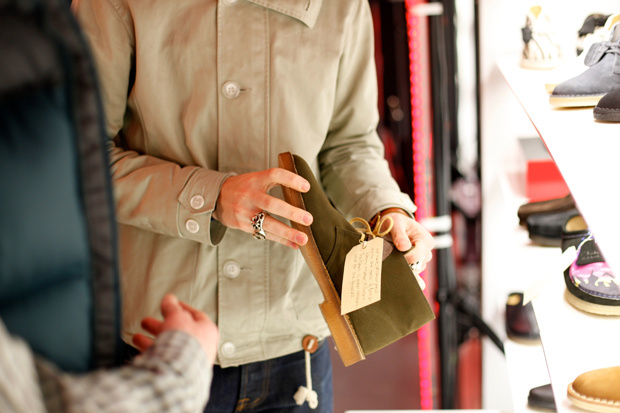 The pics below are from the launch evening and you may recognise me doing a bit of hand modelling in the last photo whilst I was eying up the Clarks Originals x Millerain Desert Boot that we featured last month, which is now firmly placed on my wishlist having seen it in all its glory. Swing by the store when you’re next in the area and have a look for yourself … there’s some great pieces to be seen and some amazing womens footwear (specifically the Laura Ashley collaboration). 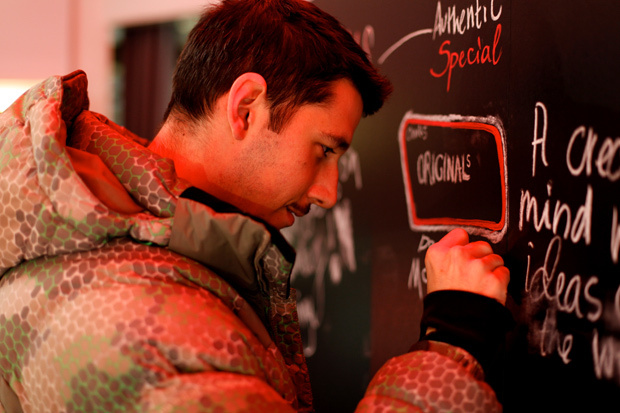 You may also want to request some chalk to scribble on the blackboard at the back of store if there is still room left and you’re feeling creative.